Creating the perfect design is the key element for achieving that dream landscaping project for your garden. During an initial free consultation, we guarantee we will listen to your brief and make some initial suggestions before moving forward with a design. This is where our expertise and many years of experience thrives, as we are able to take into account the numerous logistical factors and challenges that your project will undoubtedly provide. We offer professional design advice on making the most out of your given space, ensuring any plans are suitable for your budget. No project is considered too big or too small, so whether your dream is for a small and very low maintenance front garden, a kitchen garden or a contemporary entertaining space, we have the expertise and experience to provide you with a design that will make those dreams a reality. With our experience of providing both small and large scale garden and landscaping solutions in the west country, we will be able to provide you with a detailed quote that will factor in all the elements of design, the build and the necessary materials. Obviously, the cost of any landscaping project will be determined by its scale and complexity, however, we believe we will be able to offer you a very competitive price for the completion of your project. We can also quote and work from plans that you may have already had drawn up. Our ability to work with local garden designers, follow specific time frames and adhere to the strict criteria from landscaping documents, makes our company both reliable and unique. We have been providing a full landscaping and garden design and build service in the west country for many years. Our team of experienced, friendly and highly skilled landscapers will always ensure that your dream project comes to fruition, with build quality and attention to detail our number one priority. Our team have over 65 years of combined experience, which is something that we are very proud of. The skill and expertise gained during this time is invaluable, and has resulted in our company having an excellent reputation here in the west country. 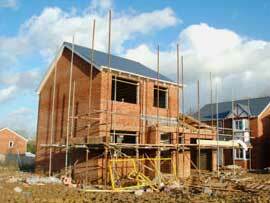 Over the years we have successfully completed a large number of both hard and soft projects. You will find our team friendly, enthusiastic and very hard working. We ensure communication remains strong throughout the build, so that you are fully informed on the progress of the project. We pride ourselves on always ensuring that any inconvenience to you during the build is kept to a minimum. We have excellent relationships with local suppliers and use quality, ethically sourced materials wherever possible. Our desire for any project is to ensure that your new garden design will be one you are able to enjoy for many, many years. For more information on how to arrange a no obligation, free consultation, then please contact us at RF landscaping today – we will be delighted to help.